20 June 2017 – People around the world are asking questions and seeking answers to help fight kidney cancer. Kidney cancer is a serious disease that affects hundreds of thousands of people worldwide. However, very few people in South Africa know even the basics about kidney cancer – what causes it, how to lower the risk, or why it’s on the rise. The global incidence of kidney cancer is predicted to rise by a shocking 22 percent, by 2020. Populations are aging, known risk factors like obesity and high blood pressure are increasing, and smoking continues to be prevalent in many parts of the world. In fact, in South Africa, the most recent cancer statistics show that just over 600 individuals were diagnosed with kidney cancer – 98 of which were children under the age of 19. When it’s caught early, kidney cancer can be treated, but in advanced stages, kidney cancer is still a lethal disease in search of better answers. That is why CANSA is joining forces with kidney cancer organisations around the world to mark the first-ever World Kidney Cancer Q & A Day. On 22 June, patients, caregivers , health care professionals and local organisations across the country and worldwide will be uniting to raise awareness for the disease. See link to CANSA’s Kidney Cancer Fact Sheet. 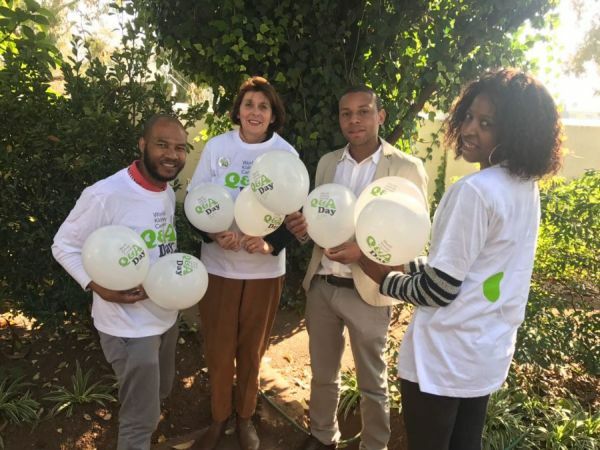 “Making a significant difference in the lives of patients starts by increasing awareness – knowing the symptoms, knowing treatment options and knowing where to find support,” says CANSA CEO, Elize Joubert. As part of the World Kidney Cancer Q & A Day, the International Kidney Cancer Coalition has launched the World Kidney Cancer Day Q & A Quiz. It’s an interactive, seven-question quiz that tests what you know – and what you need to know – about kidney cancer. It’s about promoting greater awareness about this type of cancer. For every quiz that’s completed online, $5 will be donated to help find answers to vital questions about kidney cancer. The quiz is available in a variety of languages, including English, French, Spanish, Portuguese, German, Dutch, Polish, Greek and Arabic. Globally-recognised celebrity and humanitarian Juliet Ibrahim is the campaign’s Global Ambassador. “Just like art, kidney cancer knows no boundaries. Working together – sharing our experience and our knowledge – we make a difference for the people affected by kidney cancer,” says Juliet. Learn more about the Juliet Ibrahim Foundation and the hope it gives to kidney cancer patients throughout Africa. 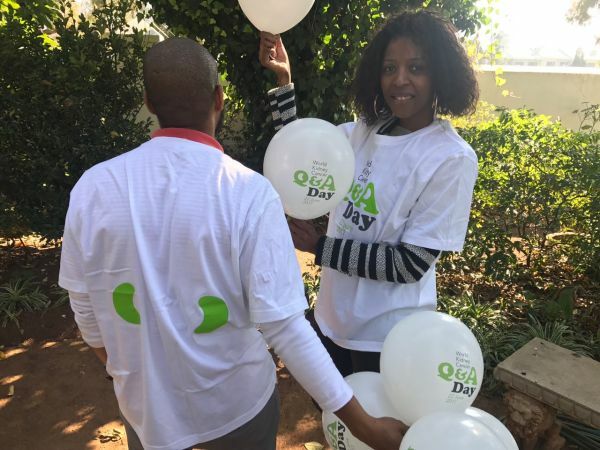 World Kidney Cancer Q & A Day has been established by the International Kidney Cancer Coalition, a global body of 30 cancer organisations focused on improving the lives of people affected by kidney cancer. CANSA is an affiliate member of IKCC since 2015 and was part of the establishment of World Kidney Cancer Day through Prof Michael Herbst, CANSA’s Health Specialist who is a Board Member and Director. The International Kidney Cancer Coalition (IKCC) is an independent network of 30 patient organisations from around the world. Founded in 2014, the organisation was born from a very strong desire among various national patient groups to network, cooperate and share materials, knowledge, and experiences. It is IKCC’s mission to empower and represent the kidney cancer community through advocacy, awareness, information and research.